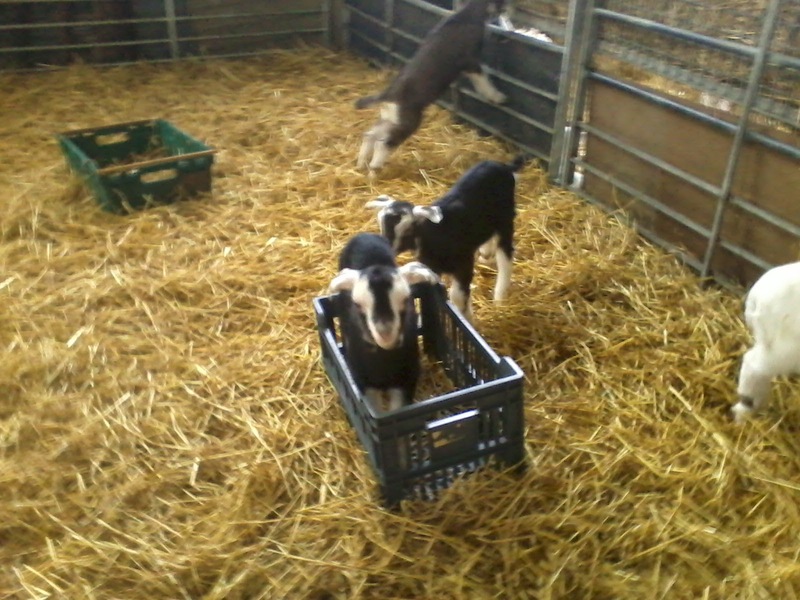 At the moment we have two little black and white girlies who are not doing terribly well. We left them with their mums for extra time just to try and give them a really good start but they have not seemed to pick up at all. 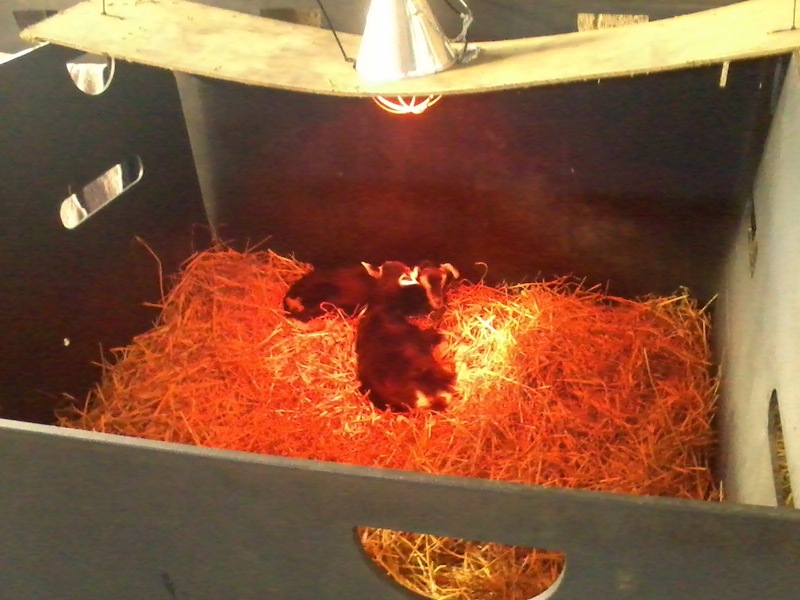 So, now they are in a special cosy pen which has a nice infra-red heat lamp to keep them toasty and warm. We call it 'the cave' - at night there is a lovely red glow inside. I may snuggle down in there with the babies instead of in my caravan! 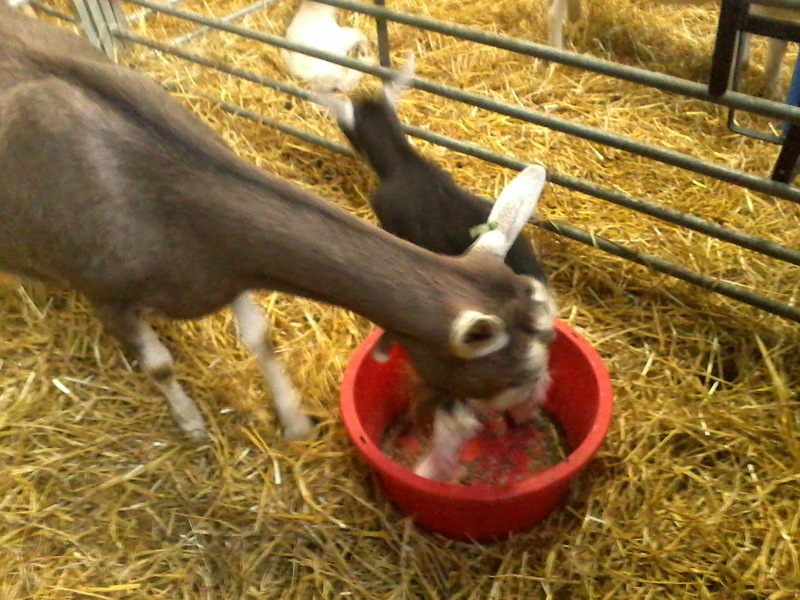 As we know, babies love to sit inside things - this young lad was rudely awakened by mum Winky who wanted to check if there was anything edible left in her breakfast bucket. Whilst this little man decided that the crate should be turned upside down so that he could stand inside it, instead of on top. 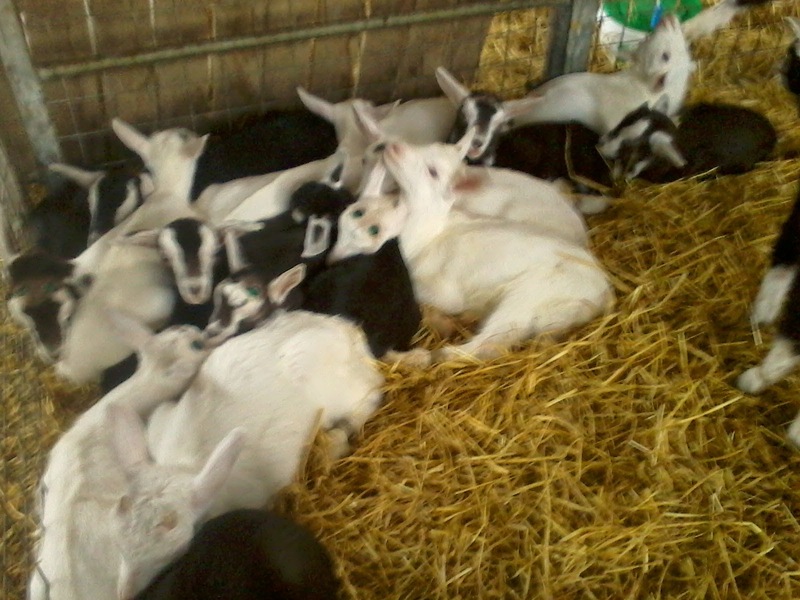 And in the corner was a snuggly pile of kids, all sleeping off their breakfast. We are almost at the end of kidding - just a couple more to go (unless we have any more surprises!). So then I can catch up on all that sleep and mountains of paperwork that is waiting for me at home ... Something to look forward to!